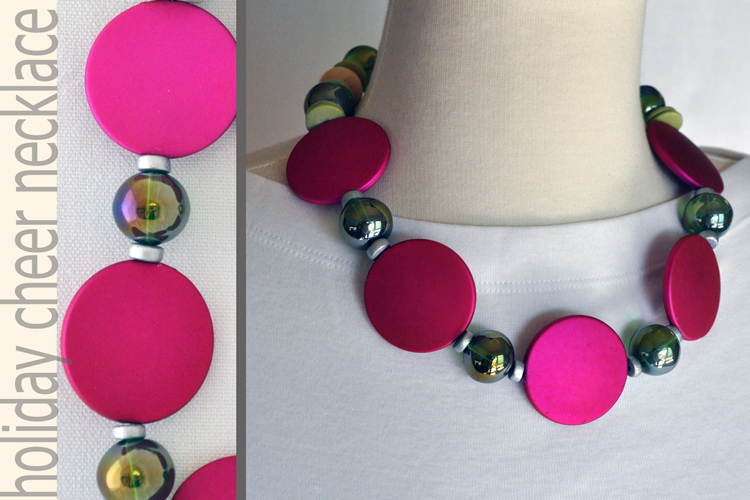 Big bold color and style are the hallmarks of this 19" necklace featuring rubberized acrylic beads. The base of the beads is acrylic (plastic), and they have been coated with a translucent gel-like material for a one-of-a-kind appearance. 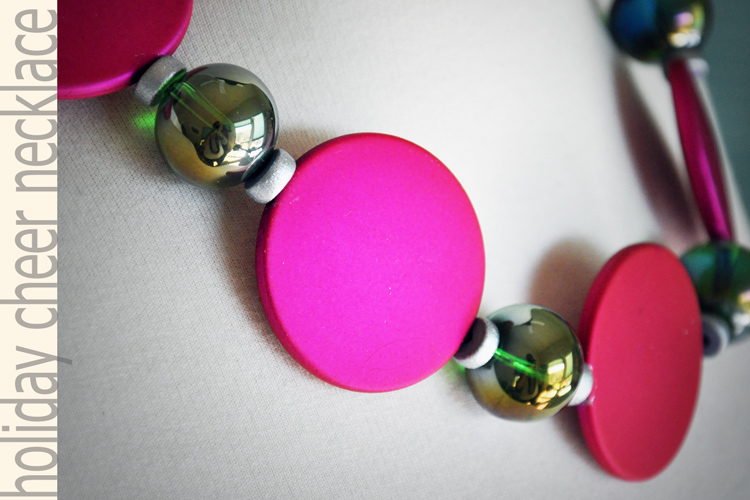 Because the beads are acrylic, they are lightweight so the necklace is only a moderate weight. Large AB coated glass beads and painted wood rondelles round out the appearance. The beads and cord are strong enough to sustain loving investigation. As with all beaded jewelry: do not let young toddlers chew on it. 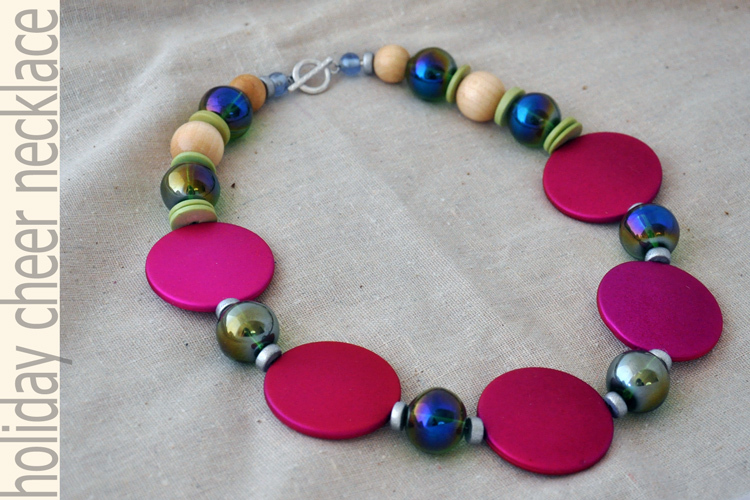 The scale of the beads in this 19" necklace means that this will fit more like a shorter necklace; beads simply take space! 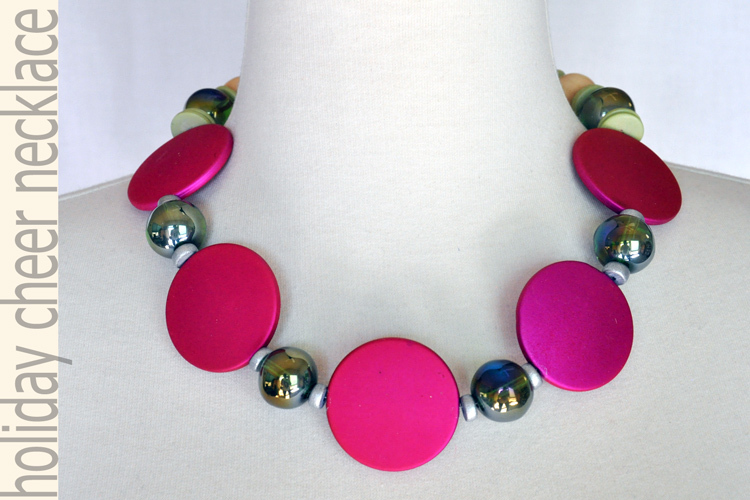 The colors are bold and the beads are large, so this is definitely a statement necklace for ringing in a season of celebration.